In order to achieve real adoption in the crypto-money market, we must ensure market access mechanisms for all people. With this mentality, Cryptobuyer has been working in different Latin American countries with a view to expanding throughout the region. 1 What is Cryptobuyer STO? Cryptobuyer brings us its STO (Security Token Offering) to expand its system that is already working in Latin America with 40 thousand registered users, 7 ATMs of cryptobuyer coins and 50 businesses working with Cryptobuyer Pay, a Point of Sale software owned by the developers. Cryptobuyer has been working since 2015 in Latin America, focusing mainly on inflationary economies in which its citizens increasingly rely less on their national currencies and have seen crypto currencies as an alternative. To make a difference from the rest, Cryptobuyer has focused on transforming the complexity of crypto coins and making them simple and understandable for all users. To achieve this, Cryptobuyer created a platform where anyone can buy crypto coins with Fiat coins, thus allowing greater accessibility to the market. The platform works with a quick and simple registration, a KYC system just as fast, a top-notch security system to prevent any hacker attack and several options to buy and sell crypto coins. Together with this platform he developed a special software for Points of Sale of Criptomedas, achieving to date that 50 shops located in Panama accept cryptomedas as a form of payment. This technology allows merchants to accept crypto coins as payment but receive Fiat money directly into their accounts. Cryptobuyer makes the changes immediately. In Panama they also have 7 ATMs that work to buy criptomedas. These tellers currently operate with a large number of virtual currencies and can work with any currency that is quoted on an Exchange. This whole ecosystem aims to be expanded and for this is considering the STO. Among the expectations of expansion, Cryptobuyer developers intend to extend its network of ATMs and Points of Sale to different countries in Latin America, starting with Mexico and Argentina. To start functions in these regions have already closed agreements with technology providers and payment platforms such as 7-Eleven, OXXO, E-Payments, Bitrefill, City Wallet, Rapipago and MercadoPago. They are also considering the creation of a mobile application that will make the process of buying and using crypto coins easier. Cryptobuyer is presenting a STO, so the offer being presented are not useful tokens but security tokens. A security token is a token that represents a title of ownership over the company or the profits that this company is contributing. In this particular case, Cryptobuyer offers the Silver token (XPT), a coin raised on the Ethereum network and with ERC-20 standard. The token will give the bearers the right to obtain part of the profits that are generated within the platform. The benefits will be distributed on a monthly basis and will be obtained from the fees charged by the ATM network and the Cryptobuyer Points of Sale. Logically, the profits will be determined after paying the operating costs for the maintenance of the platform. Of these profits, 50% will be used directly within the token ecosystem. This 50% will be implemented in 2 programs. 25% of the proceeds will go towards a Programme linked to the new currencies to be distributed among the token holders. The other 25% will be used for a Coin Burning Program. With this latest program, Cryptobuyer developers will buy the Silver token directly from the Exchanges and burn it to remove it from the market. Since the income from the programs is exactly the same, there will always be the same amount of coins on the market. In order to receive the token winnings, the tokens must be blocked inside the platform. The developers have designed a mathematical model in which its application will allow that the more time and tokens blocked, the more profits will be obtained. Cryptobuyer is issuing a total of 400 million tokens and for the STO are placing 320 million for sale, 80% of the total. The initial price they are proposing is 1 ETH = 3061 XPT, which is equal to 1 XPT = 0.00032669 ETH. The team is raising a minimum of $3 million and a maximum of $20 million. For Seed investors a bonus of 66% is established to sell a total of 50 million tokens. The minimum investment for Seed investors has been set at 250 ETH. In the private sale will be given a bonus of 33% for 120 million tokens. In this case the minimum investment will be 25 ETH. For public sale the remaining tokens will be sold and has set a minimum of 0.1 ETH. 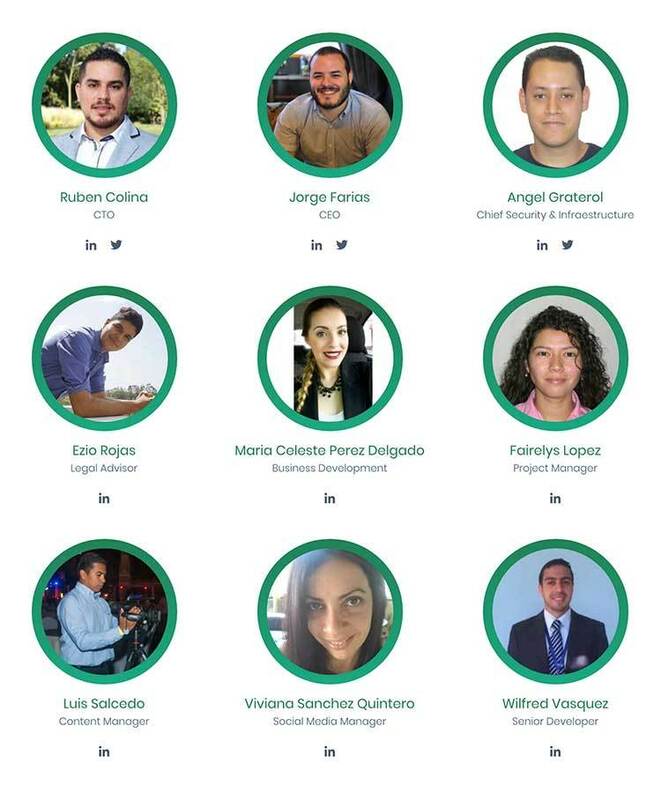 Cryptobuyer is a company based in Panama and has a team of 9 developers and 8 advisors. The CEO of this project is Jorge Farías, a computer engineer with a great passion for Blockchain technology who has been working for more than 10 years on different payment platforms such as BitPagos and AirTM. He is also Director of the Blockchain Embassy of Panama. Rubén Colina is the CTO of this STO and is the one who has been behind the technological development of the software of the platform that already has Cryptobuyer. He has worked with local e-commerce companies, Starups, NGOs and the public sector. The Head of Security and Infrastructure will be Angel Graterol, Systems Engineer who has been in the development of Cryptobuyer since its inception in 2015. He has previously worked as a CTO on a specialized cryptomoney mining project. Among the consultants for this project we can see Randy Hilarski, a marketing expert who has worked on more than 20 ICO projects within the market. Rev Nissan, a recognized businessman in the world of cryptomedas, can also be seen as an advisor given his recent success as founder of ICO Decent.Bet. Do they own a Minimally Viable Product (MVP)? Yes, cryptobuyer.io has been in operation for 3 years. As mentioned above, the platform already has 40 thousand registered users, 7 ATMs and 50 shops with the Points of Sale designed by Cryptobuyer. According to the Road Map proposed by the project, the initial expansion project that you are proposing on its website will end in the second quarter of 2019. In the first quarter of 2019 the team plans to have the platform working in the regions of Mexico and Argentina as well as expect to have the Mobile Application platform available to everyone. Nowadays it is really difficult to find an ICO that offers a serious MVP and Cryptobuyer is a project that presents a platform already in operation, this situation generates that the project stands out within the market. In addition to being a working platform, Cryptobuyer has demonstrated that it works successfully, becoming one of the platforms with more registered users for the purchase of crypto coins within Latin America as well as the company with the largest ATM network in the same region. This operation, together with the alliances and expansion plans that the project has, are positive elements for any investor and more when it is understood that the system that is raised with the Silver tokens is directly linked to the profits that are obtained from the platform. The directors in charge of the project are professionals strongly linked to Blockchain technology within the Latin American region, which makes them people with enough knowledge to be able to overcome any type of problem that arise with the operation or expansion of this project. Likewise, the team has recognized advisors in the world of Blockchain that allow this project to expand beyond Latin America and consolidate the bases to take this project to other important regions for the world of cryptomonedas. Cryptobuyer has been developing correctly in the market according to the legislation of Panama, however, the legislations of Argentina, Mexico and the rest of the countries where it hopes to expand have completely different legal bodies and all this will require that they adapt to the functioning of each of them. This adaptation may take some time but will ensure that there will be no legal problems. Description: This STO is presented to expand the operations of Cryptobuyer, a platform that seeks to expand accessibility to crypto coins and already has 40 thousand registered users, 7 ATMs for the purchase and sale of crypto coins and 50 businesses working with its software Cryptobuyer Sales Points. Cryptobuyer presents itself to extend the reach of a platform that has already been working well within the region and together with it we see an opportunity for investors to benefit from the profits generated by the expansion itself. In addition, the expansion project is designed to be carried out in the short term, ensuring an immediate effect and recovery for investors. Differences in the legal context within newly expanding countries.